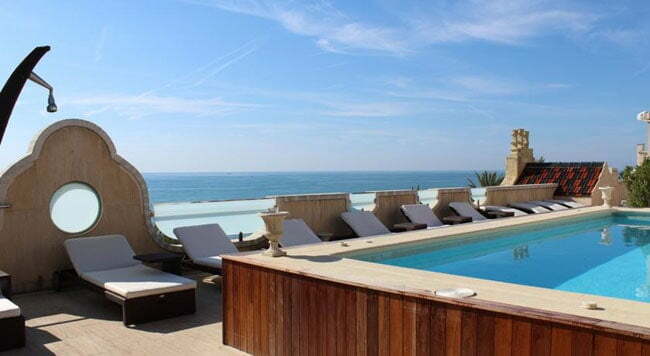 Sitges is one of the most popular gay destinations in Europe. 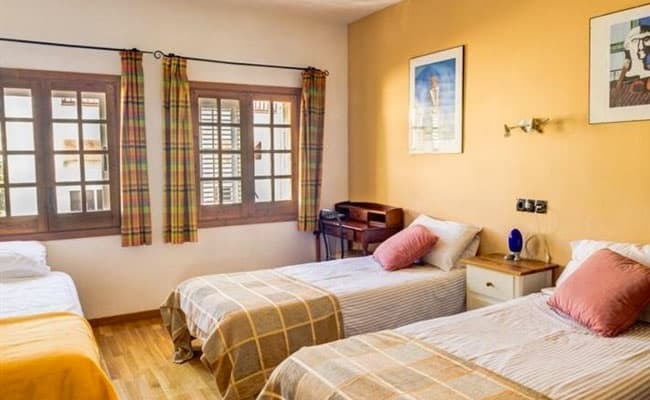 In fact, during summer many Sitges hotels have more gay than straight guests! 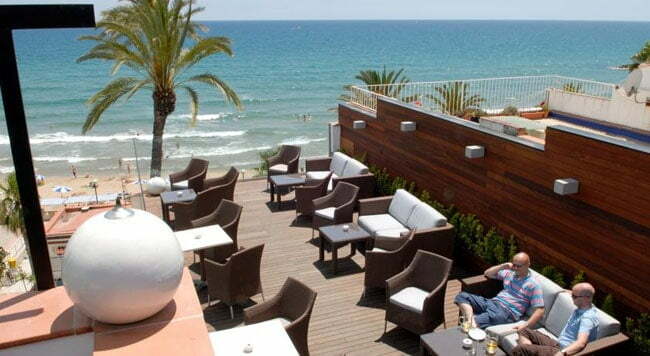 Our top Sitges hotels for gay travellers are mostly located in town centre, near the gay beach and nightlife. 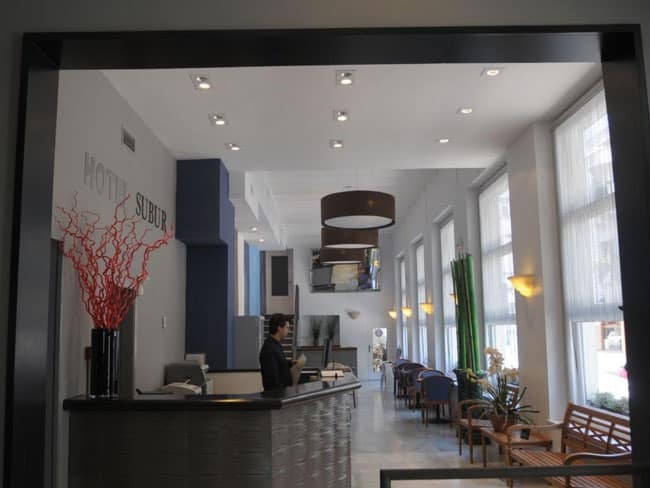 For more hotel choices, search all Sitges hotels, or you can stay in Barcelona (only 20 minutes by train). 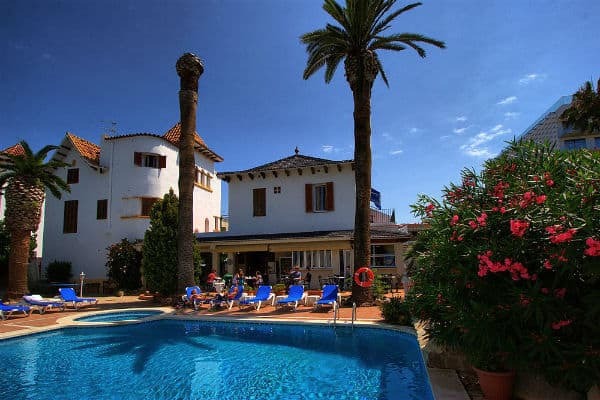 These hotels are just a short walk from Playa de la Bassa Rodona (main gay beach), gay bars & clubs and town centre. 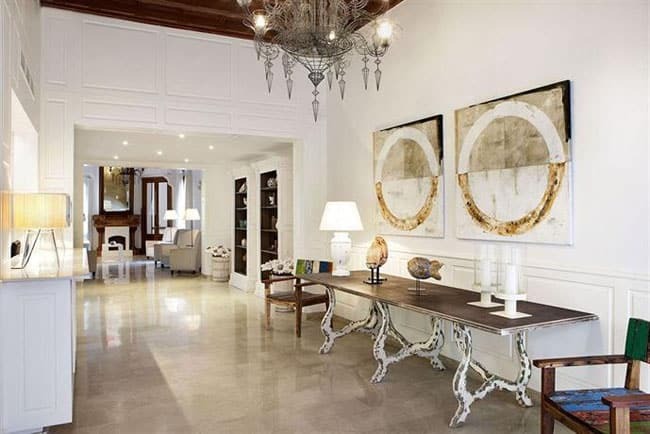 Sitges Railway Station is nearby, making it easy to commute from Barcelona. Why this hotel? Next to the gay beach. Close to the bars. Free WiFi. 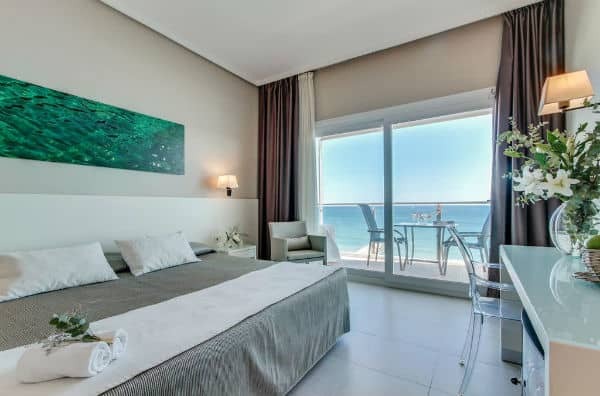 The air-conditioned rooms feature satellite TV, private terraces and free WiFi. 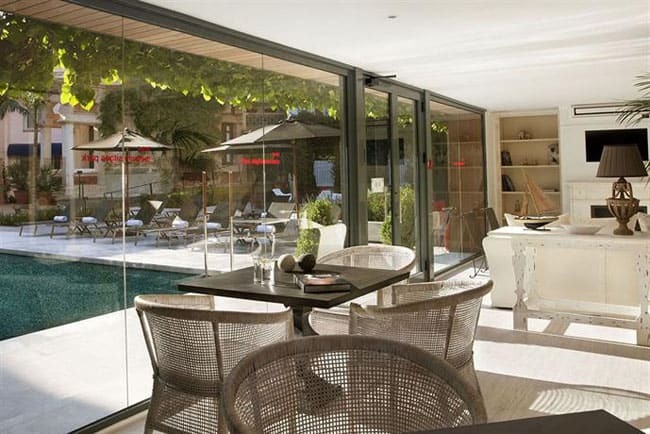 If you fancy a break from the beach, then the hotel’s private pool and sun terrace is a great place to relax. 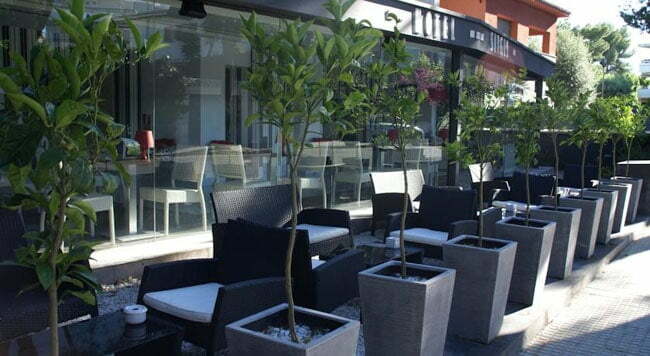 Sitges’ main gay bars and clubs are just a few minutes’ walk from the hotel (as is the railway station if you fancy a night out in Barcelona). Often full, so book early for peak season. Why this hotel? Popular hotel. Excellent breakfast. Near the gay bars. Free WiFi. 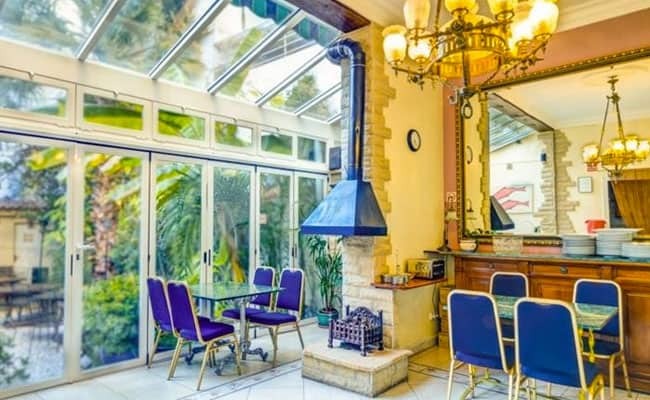 This Castillian-styled hotel offers comfortable air-conditioned rooms with en suite bathrooms, with satellite TV, tea & coffee-making facilities and free WiFi. 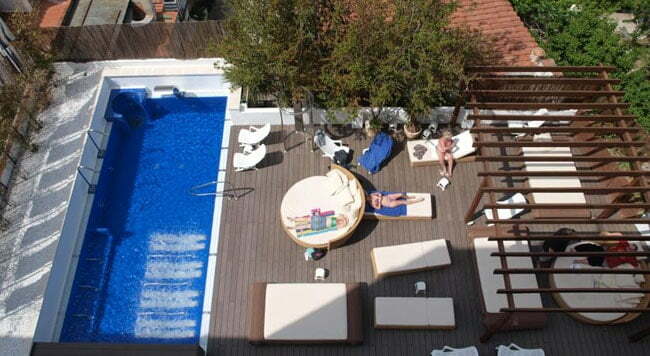 The hotel has a small pool and sun terrace. 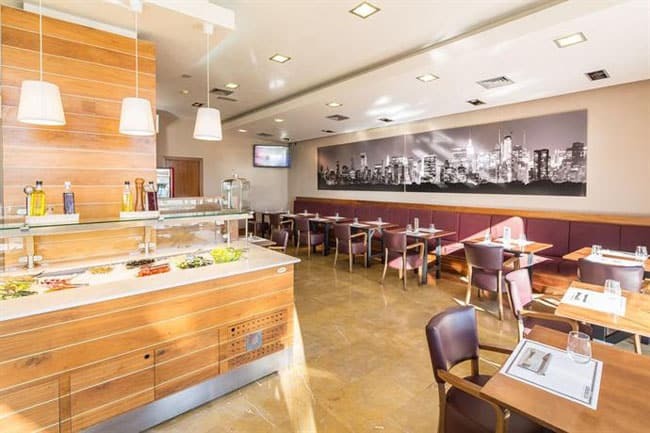 Galeón is known for its substantial breakfast buffet that includes juice, fresh fruit, yoghurt, a wide selection of bakery and pastries, as well as cooked choices such as sausages, eggs, etc. Why this hotel? Quieter area, near the beach. Stylish rooms. Best seller. Free WiFi. 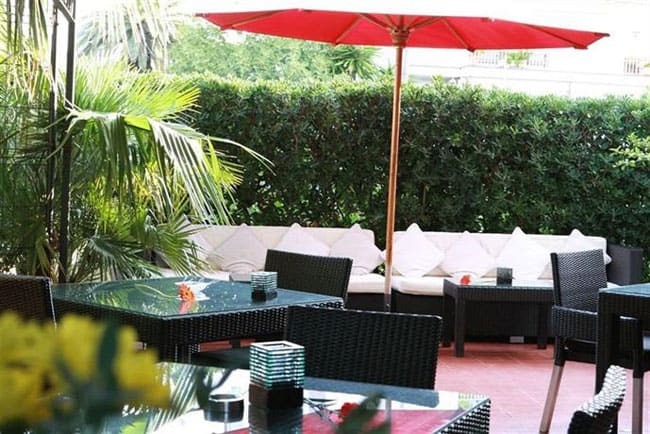 Outside, the hotel has two pools, sun terraces and well-maintained gardens offering a relaxed alternative to the beach. The onsite full service Thalassotherapy Spa Centre offers a range of treatments and services to buff up your body! A consistently popular choice with gay travellers. Why this hotel? Ocean views. Close to gay beach & bars. Value for money. Free WiFi. 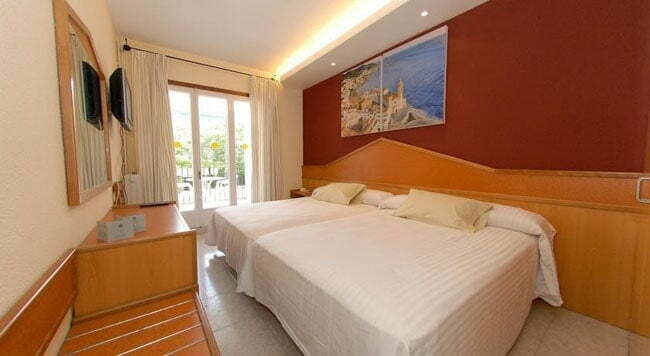 This beachfront hotel offers good value for money, clean, simply furnished but comfortable rooms. 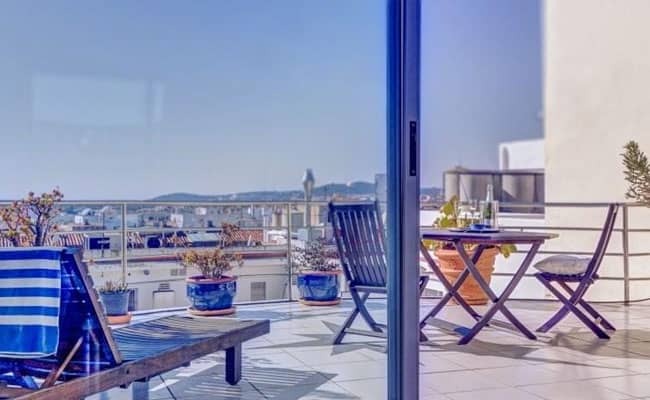 The larger superior units have great sea views and a private balcony that is great for people-watching. 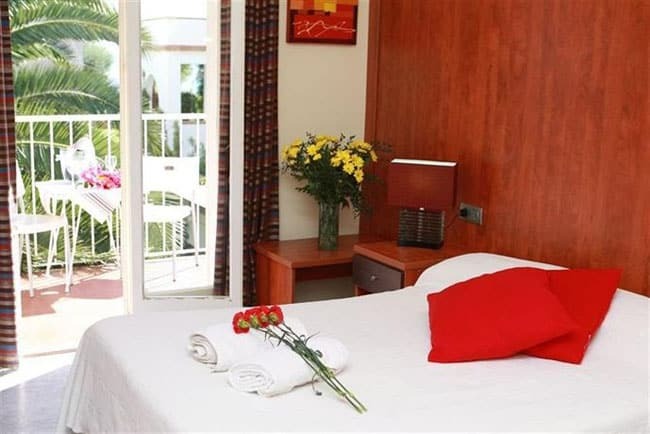 All rooms have air conditioning, satellite TV and free WiFi. Subur serves a buffet breakfast. Lunch, dinner and drinks are available all day long from the ground floor Sports Café. 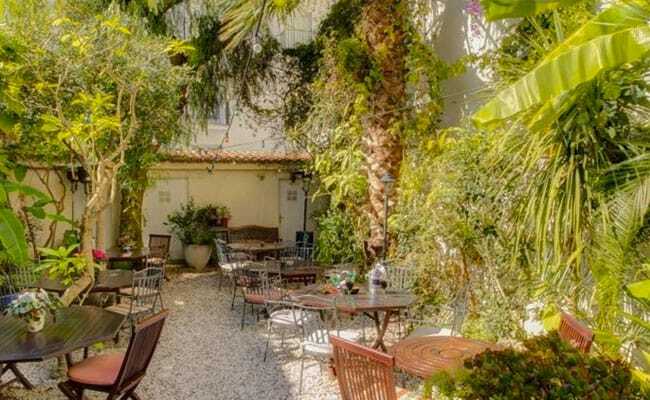 Like the beach, the town and the gay venues are just a few minutes’ walk from away. A consistently popular choice on Travel Gay. Why this hotel? Walk to the beach. Stylish rooms. Close to nightlife. Free WiFi. Chic guest rooms feature flat screen TV, free WiFi, air conditioning, safe, minibar. There is an impressive rooftop Sky Bar & restaurant, outdoor pool and luxurious spa with sauna, jacuzzi, cold pool and massage service. 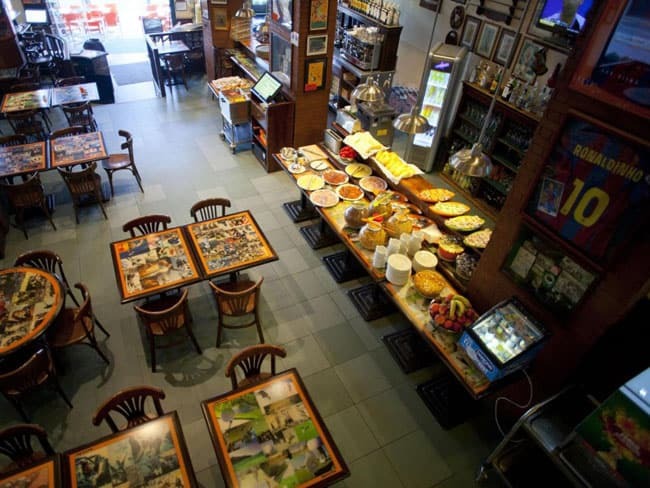 Gay scene-wise, the Avenida is just a short walk from Parrots Pub, Central Bar Café and other gay venues. 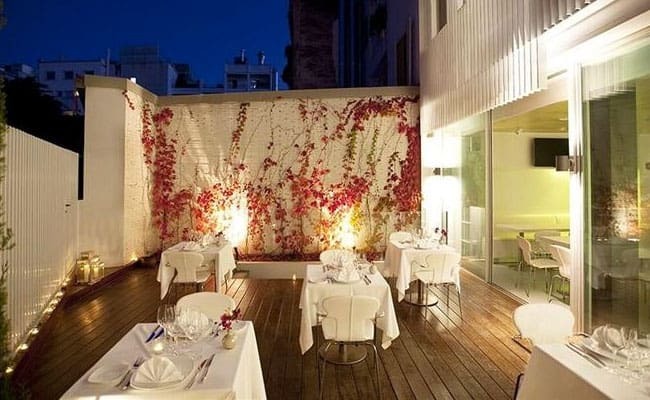 The train station is also nearby, should you fancy a night out from Barcelona. Why this hotel? Excellent value. Opposite the gay beach. Near the bars. Free WiFi. 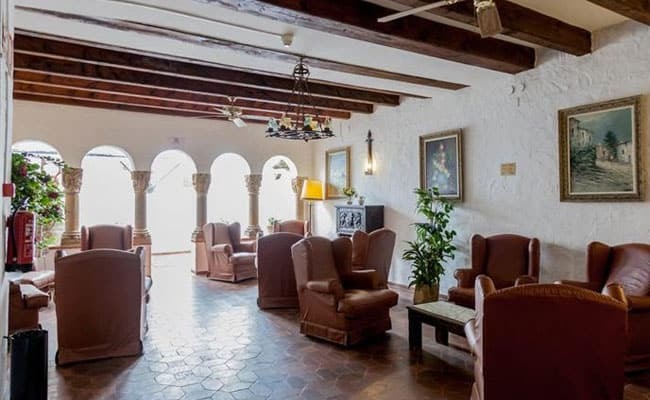 Housed in 4 historic buildings, guest rooms are air-conditioned, some with sea views and a small balcony The simply furnished room feature a flat screen satellite TV, minibar, safe, free WiFi. 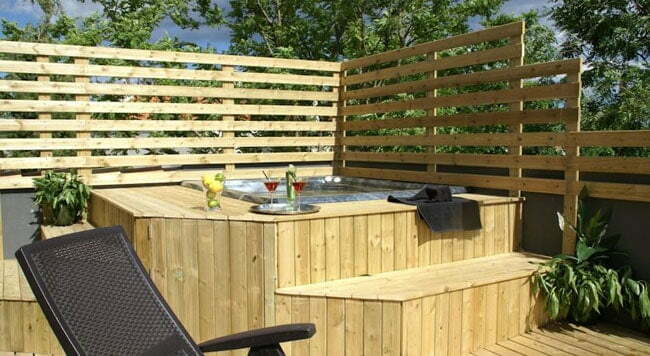 La Niña has a plunge pool, rooftop sun deck with fabulous sea views. 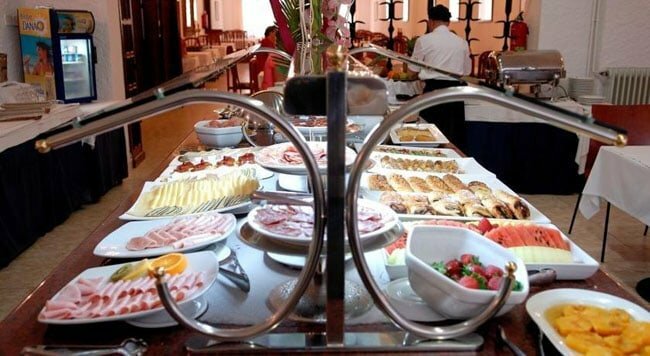 Most rates include a breakfast buffet with fresh fruit, cereals, cold cuts, cheese, croissant, pastries, juice, tea and coffee. Near the gay scene & beach. Why this hotel? Near the gay scene & beach. Fabulous views. Popular choice. Free WiFi. The hotel’s rooftop bar has fabulous sea views and is a great place to chill out with a cocktail after the beach. 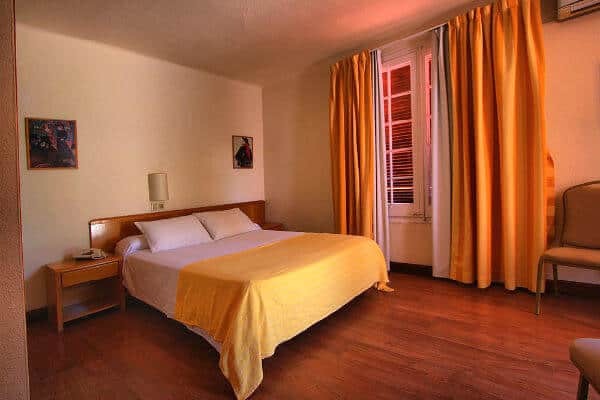 Platjador offers 59 modern, air-conditioned en suite rooms with a 32″ LCD TV, pillow menu and tea & coffee-making facilities. Extensive breakfast buffet is served until noon. Free WiFi. Why this hotel? Excellent value. Stylish design. Great location. Free WiFi. 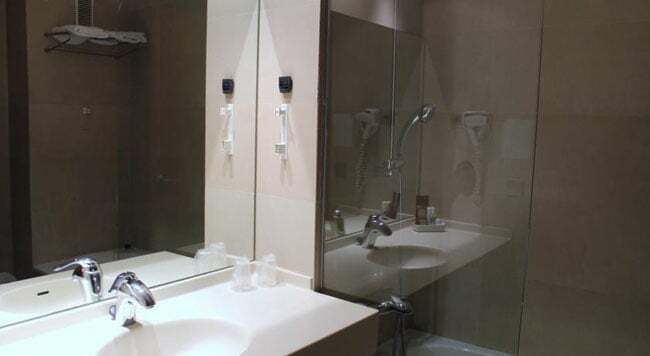 Chic guestrooms rooms feature free WiFi, TV air conditioning, safe, minibar. The hotel has its own private swimming pool, sun terrace, cocktail bar and restaurant. Near gay beach & nightlife. Why this hotel? Near gay beach & nightlife. Great outdoor pool & staff. Free WiFi. 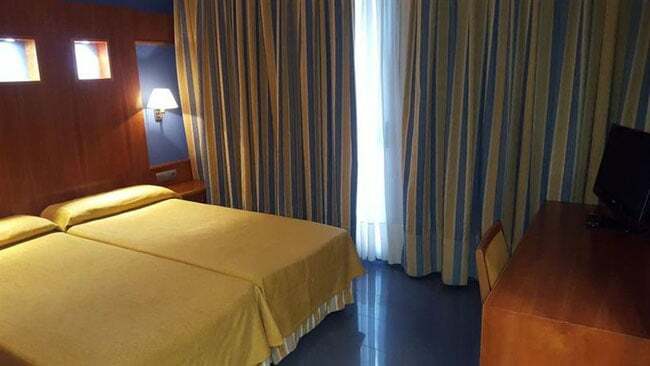 Each comfortable guest room is individually decorated and features free WiFi, flat screen satellite TV, desk, air conditioning, mini-fridge. The Capri is a 24-hour front desk. Complimentary hot drinks are available around the clock. 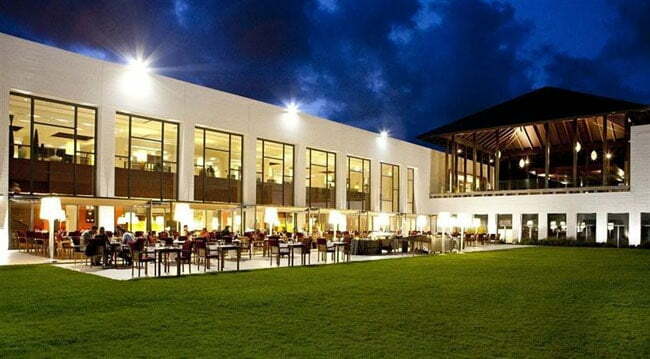 Buffet breakfast (extra charge) is served in a casual dining area overlooking pool area. Why this hotel? Gay-popular. Excellent value. Near the bars. Free WiFi. 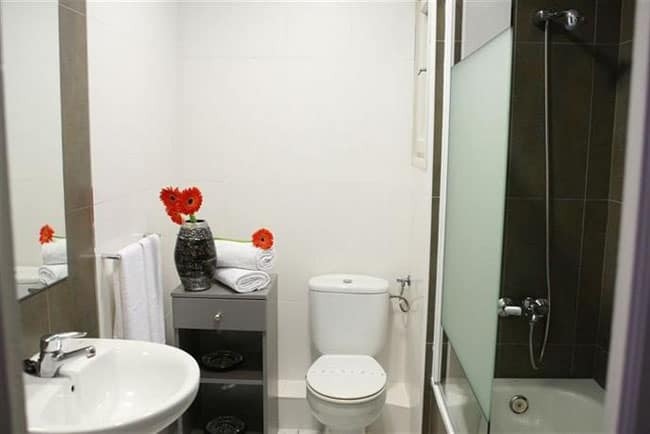 Comfortable newly renovated en suite rooms, some with private terrace, features air conditioning, satellite TV, free WiFi and safe. The buffet breakfast is very substantial. Why this hotel? Budget choice. Excellent location & service. 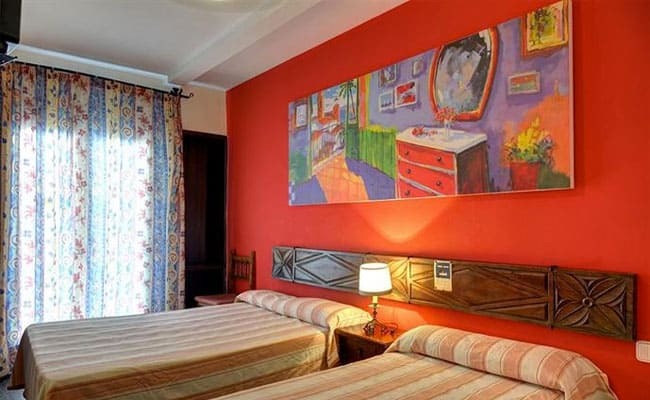 Hotel El Cid offers cheap, simply furnished rooms that attract a loyal following of gay travellers who just keep coming back year after year. Great value for money, great location and great service. Book early if you want to stay here! Closed November to February. Why this hotel? Gay-owned. Walk to the beach. Great value. Free WiFi. 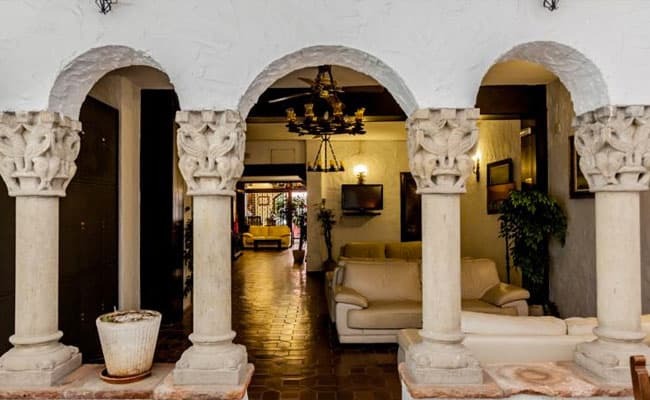 Housed in a historic Cuban-style building with a small garden, guest rooms feature air conditioning, flat screen TV, fridge, private bathroom, desk and safe. The onsite Liberty Bar connects to the garden, and a tasty breakfast is served each morning. Why this hotel? Luxury choice. Nice pool & dining. Near the nudist beach. Free WiFi. 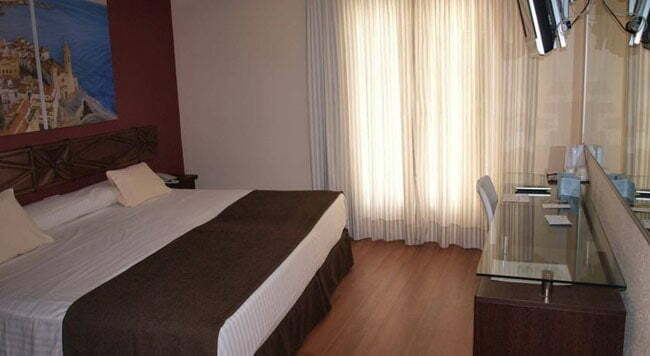 Guest rooms are spacious and equipped with free WiFi. 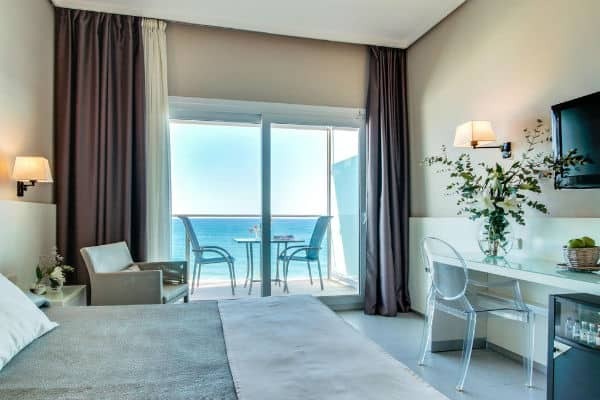 Many have wonderful sea views (as the hotel is perched on a hill overlooking the sea). The resort has 4 pools, a spa and choice of restaurants and bars. During the summer months, the hotel operates a shuttle service to the town (or you can take a taxi – approximately 7-8€ ). Why this hotel? 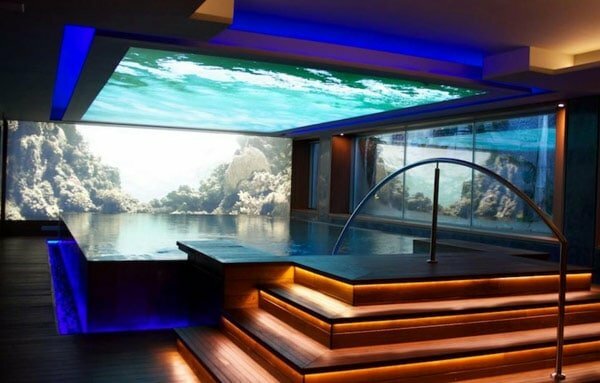 Fabulous pool. Near the nudist, gay-popular beach. Free WiFi. 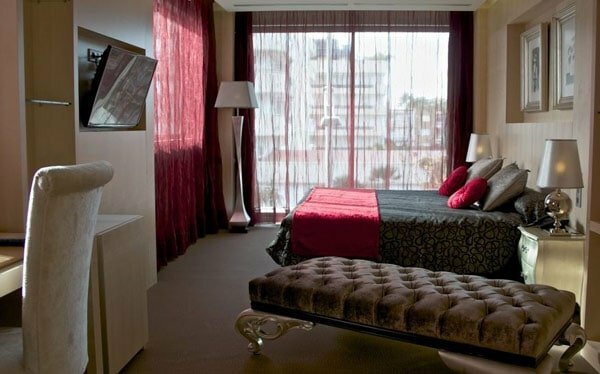 The hotel offers stylish rooms and a great choice of recreational facilities including swimming pools, spa and gym. 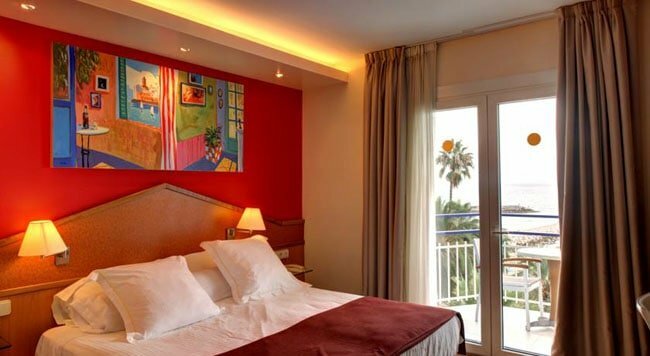 Because of its hillside location, some rooms have amazing views of the Costa. 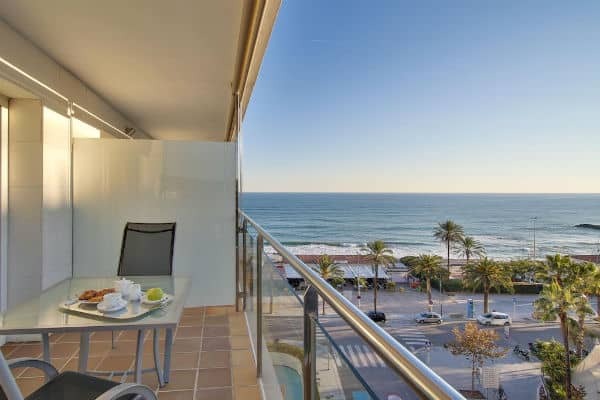 The main gay beach in Sitges is about a 20-30 minute walk away, so the hotel is ideal for those who plan to go ‘au naturel’ most of the week!